Body posture can greatly influence human performance when carrying out manipulation tasks. Adopting an appropriate pose helps us regulate our motion and strengthen our capability to achieve a given task. 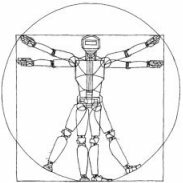 This effect is also observed in robotic manipulation where the robot joint configuration affects not only the ability to move freely in all directions in the workspace, but also the capability to generate forces along different axes. In this context, manipulability ellipsoids arise as a powerful descriptor to analyze, control and design the robot dexterity as a function of the articulatory joint configuration. This paper presents a new tracking control scheme in which the robot is requested to follow a desired profile of manipulability ellipsoids, either as its main task or as a secondary objective. The proposed formulation exploits tensor-based representations and takes into account that manipulability ellipsoids lie on the manifold of symmetric positive definite matrices. The proposed mathematical development is compatible with statistical methods providing 4th-order covariances, which are here exploited to reflect the tracking precision required by the task. Extensive evaluations in simulation and two experiments with a real redundant manipulator validate the feasibility of the approach, and show that this control formulation outperforms previously proposed approaches.